Microbes influence a wide range of processes, some acting as catalysts to accelerate reactions or enable them to occur in a wider range of conditions, while others can be detrimental causing fouling or corrosion. Microbes are key to many remediation processes, including passive water treatment, soil bioremediation, and re-establishment of vegetation. Understand how microbes are impacting day-to-day and long-term mining activities, and how modern day tools can assist with process optimization, closure planning, water treatment technology selection and monitoring, and remediation and reclamation. Microbes impact many aspects of mining operations, from processing, to water treatment, through closure planning. Knowledge of modern day methods, tools, and applications in microbial profiling allows organizations to derisk decision-making and more effectively allocate funds to appropriate actions, including system designs and process optimization. Advances in microbial technologies in the past 5 years have revolutionized understanding and accessibility of testing. One of the fastest growing applications of microbial community profiling in the mining sector is through increased demand for passive water treatment in closure being placed on mining operations (which relies on natural and accelerated microbial processes). Understanding and the application of microbial community profiling provides mining operations the opportunity to differentiate themselves as leaders in technology, innovation, and sustainability. With advances in microbial technologies in recent years, there is increased demand for passive water treatment for mining operations. 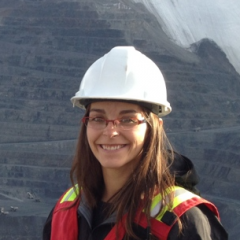 Environmental professionals working in mining operations can help their organization differentiate themselves as leaders in technology, innovation and sustainability by understanding the application of microbial community profiling. Monique holds a PhD in applied microbiology, and post-doctoral research associateship in environmental microbiology and biogeochemistry. With over a decade of experience, Monique’s expertise in bioremediation and passive/semi-passive water treatment spans from conceptual design, to technical and public regulatory hearings, through to implementation and long-term closure. She has worked on passive treatment systems such as constructed wetlands for more than a dozen mines at various stages of operation including exploration, active, closed and abandoned, many of which are located in Northern Canada. 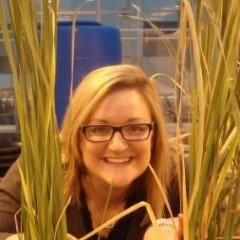 A specialist in passive water treatment, constructed treatment wetlands, biogeochemistry and genetic microbial profiling (microbiome, metagenomics, metatranscriptomics), Monique oversees research programs for technology development in these areas at Contango in addition to their consulting activities. Since founding Contango in 2010, she has grown the company into a thriving environmental firm with laboratories and dedicated pilot facilities. As a result, she has been named one of Canada’s future entrepreneurial leaders by Profit Magazine (2011), and to their W100 list of Canada’s top female entrepreneurs (2015). Vanessa is is a specialist in microbial profiling, with over a decade of experience in genetic sequencing and analysis technologies for microbes. Vanessa is a nationally recognized leader in the field of genetic microbial profiling for environmental applications, having developed some of the first ever standardized tests for microbial assessment of environmental and bioremediation applications. These unique profiling capabilities are now being used by multiple industrial sectors worldwide to improve site-specific bioremediation efforts, de-risk decision making, and optimize operational processes. With degrees in microbiology and biochemistry and a PhD in applied microbiology, Vanessa oversees microbiology services and new technology development at Contango, and outside of work, advises on graduate student projects and national level genomics initiatives.